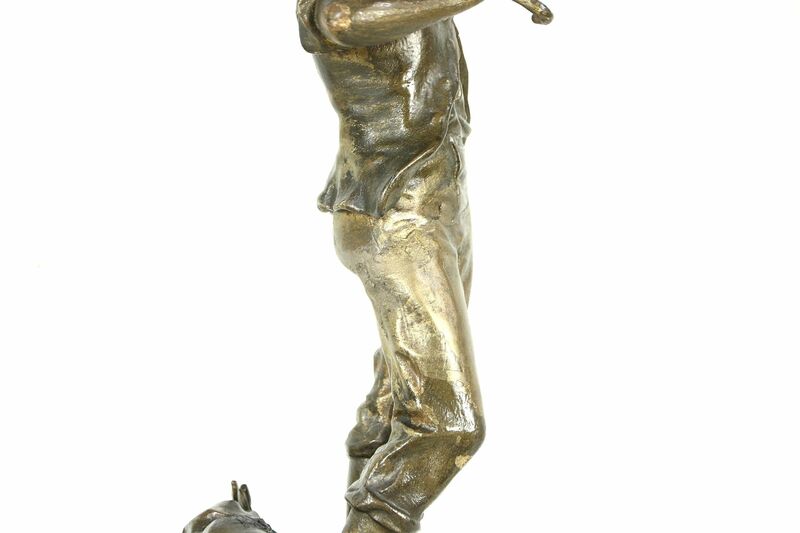 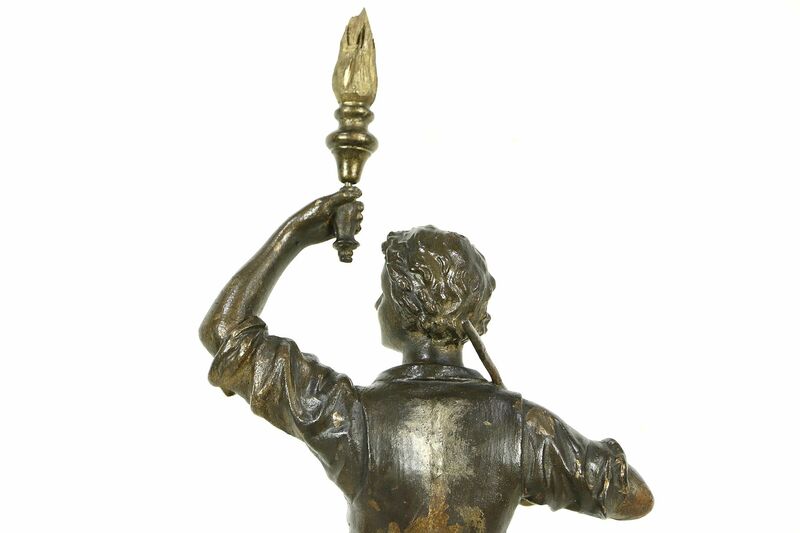 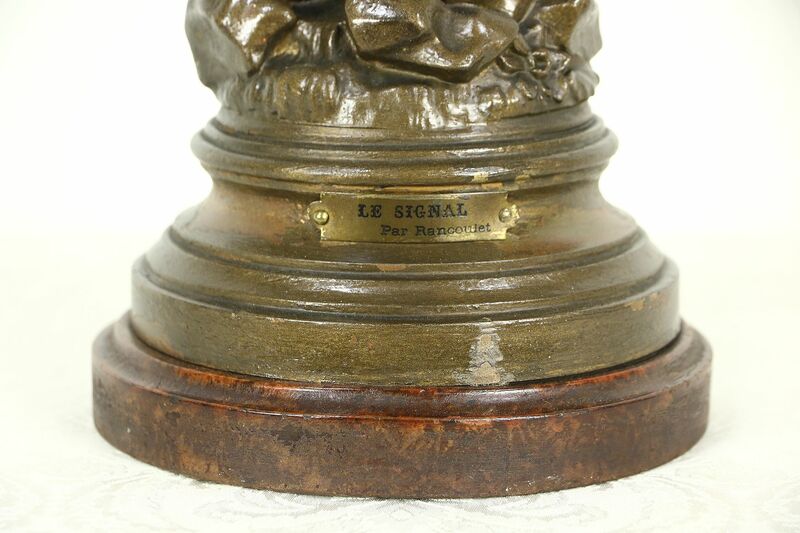 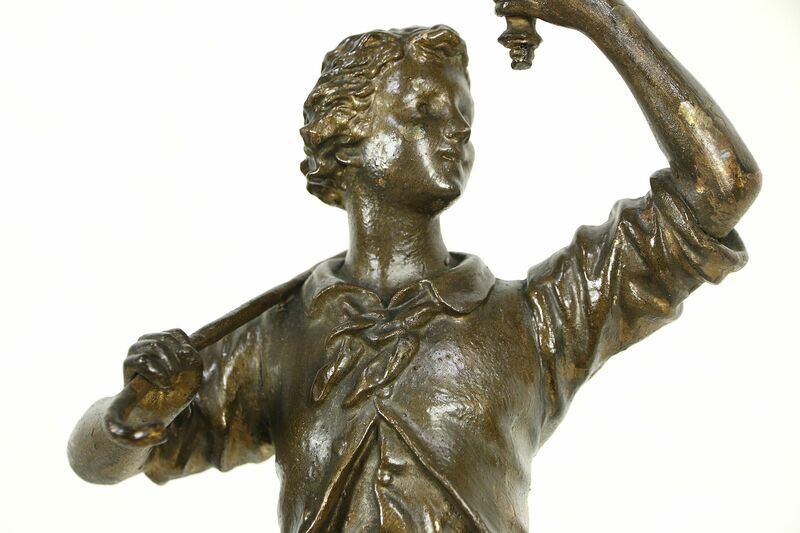 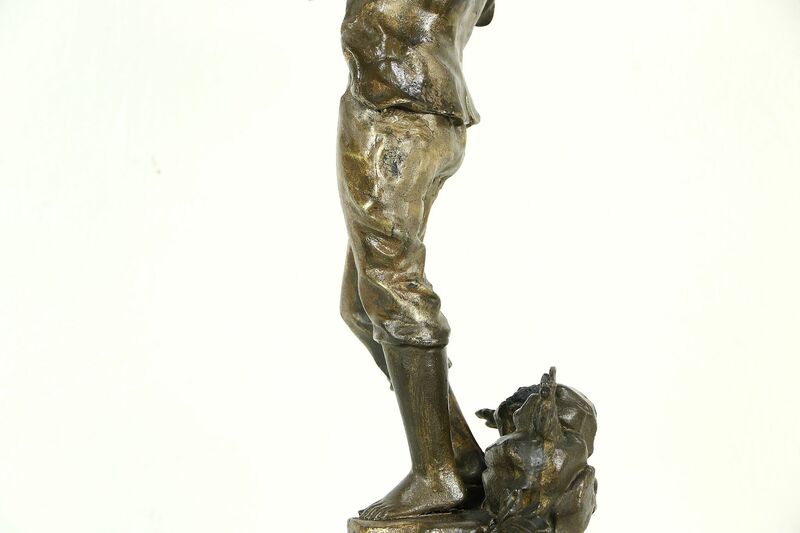 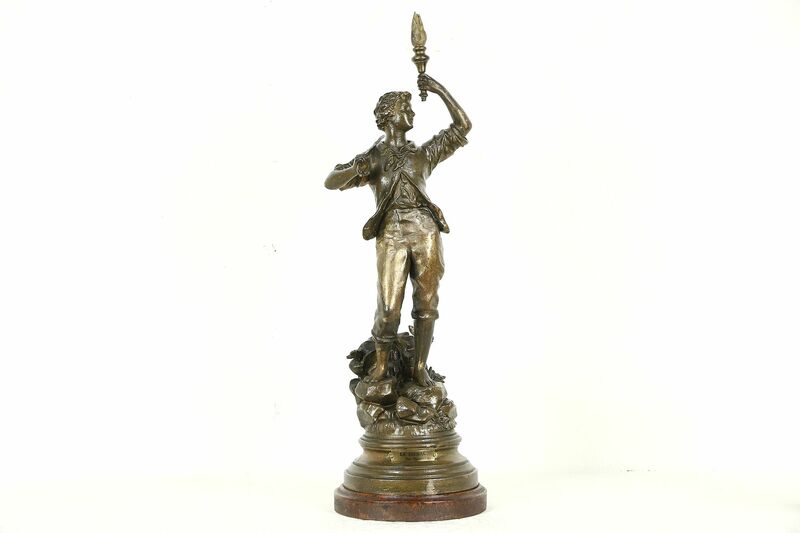 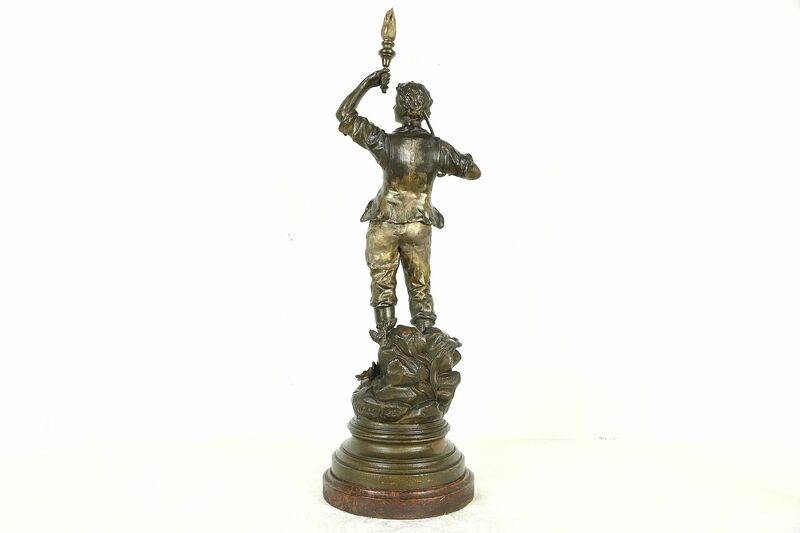 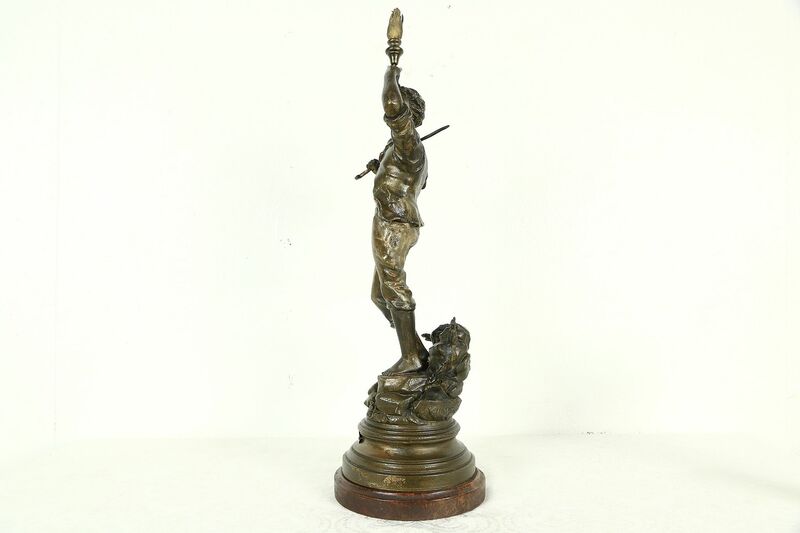 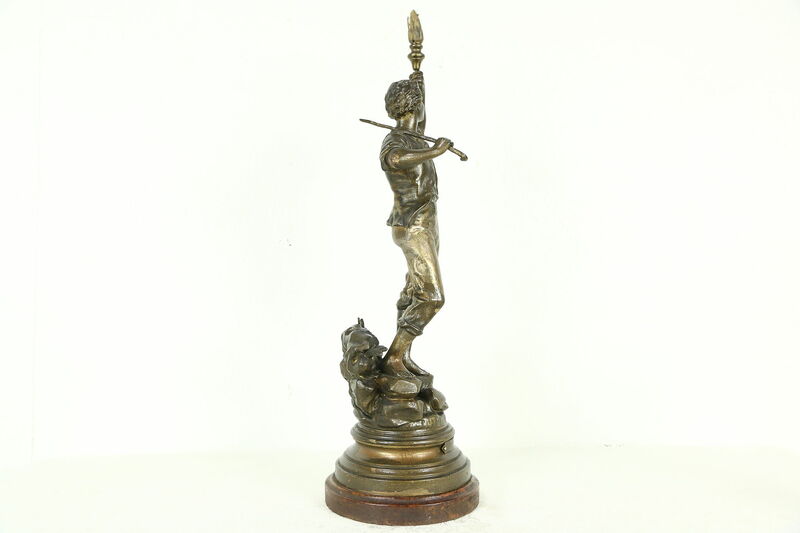 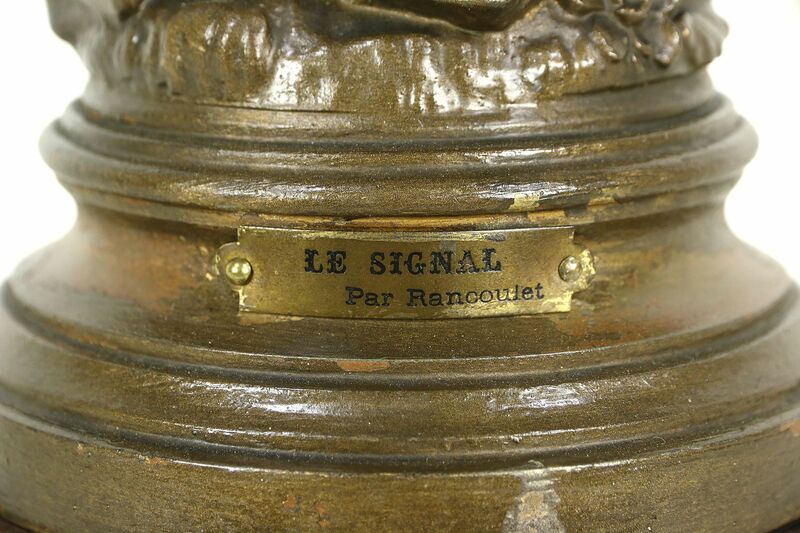 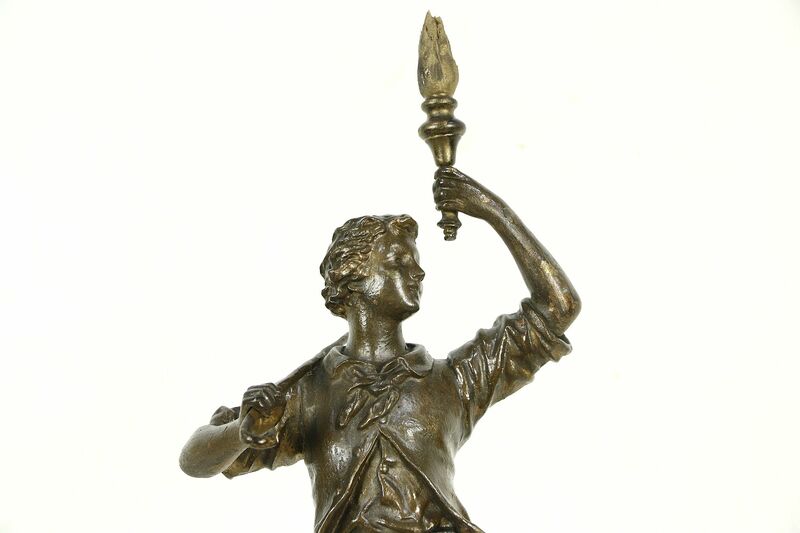 A French sculpture of "Le Signal" represents a barefoot young man holding a torch and is signed "Rancoulet," dating from about 1900. 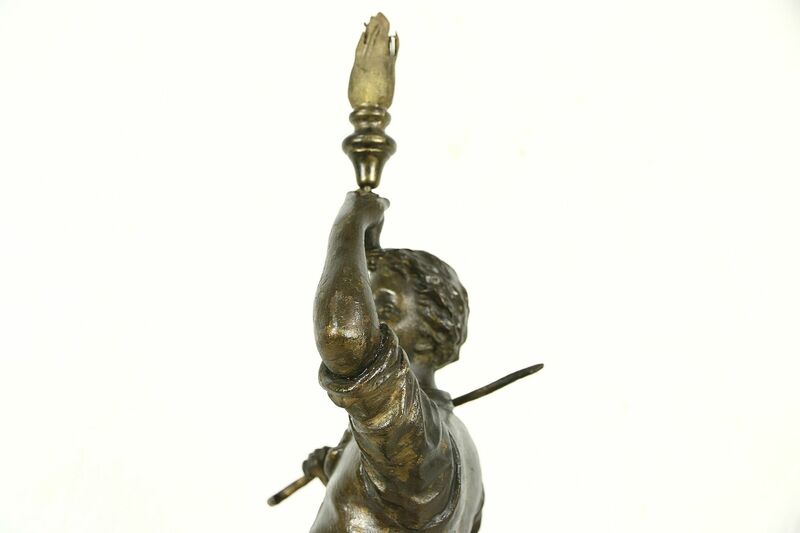 The statue has a repair in the center and a reconstructed torch, see photos. 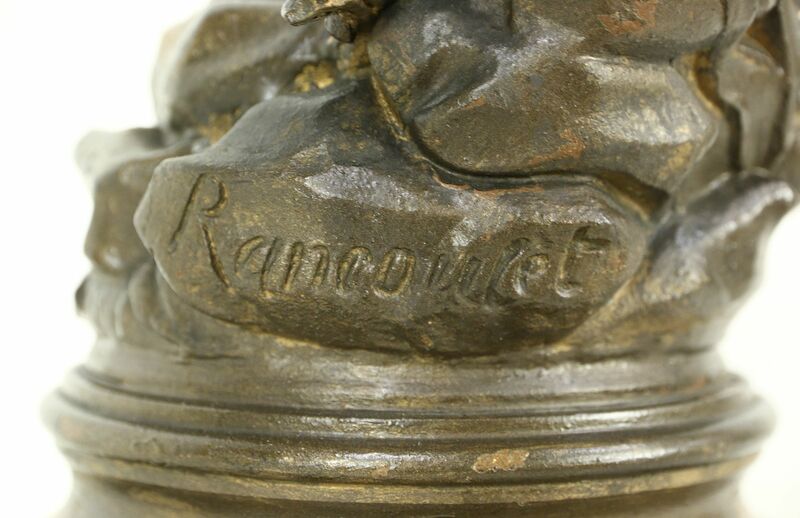 Ernest Rancoulet was a renowned sculptor in France who lived 1870-1915. 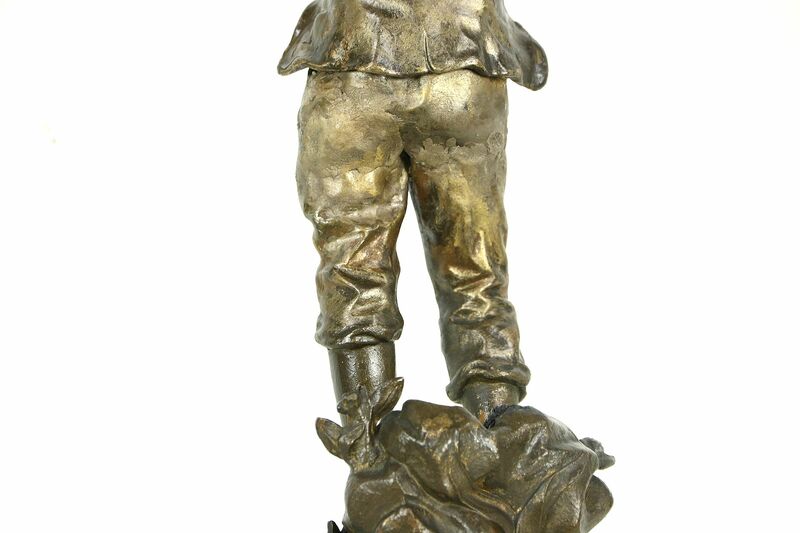 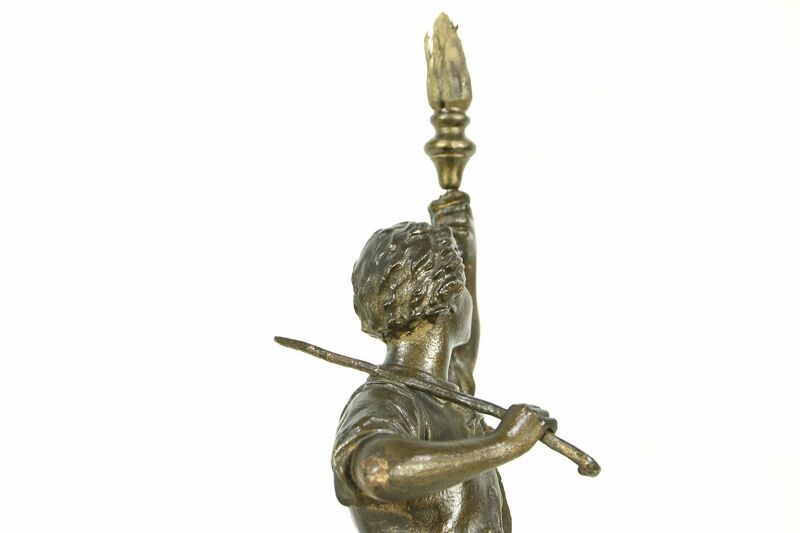 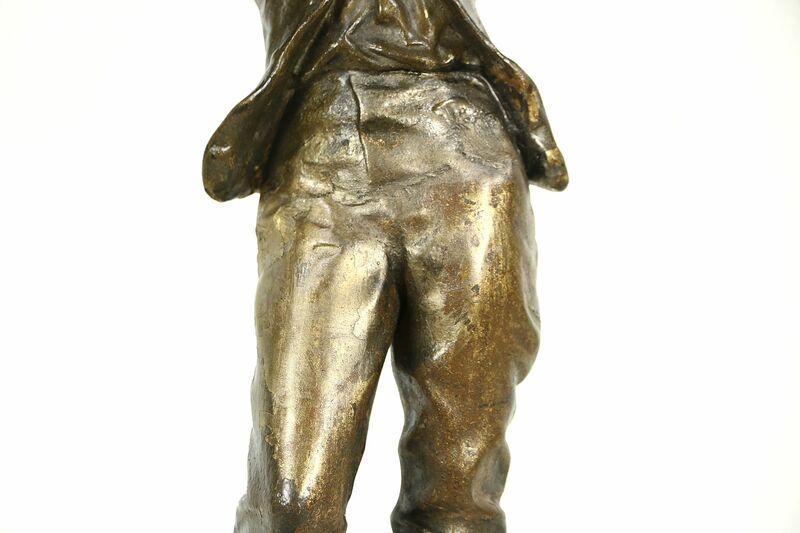 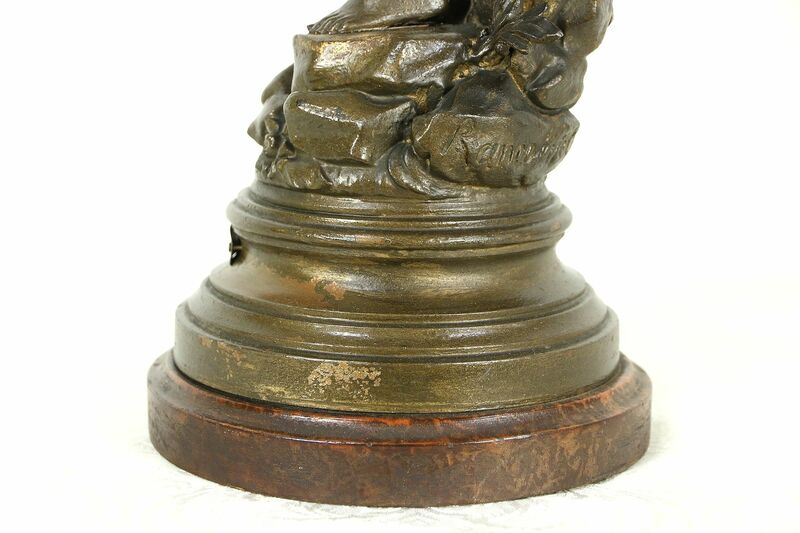 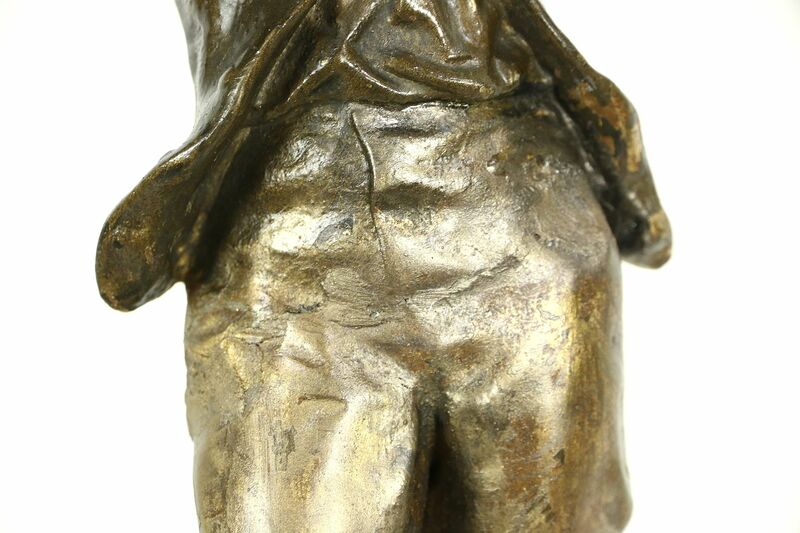 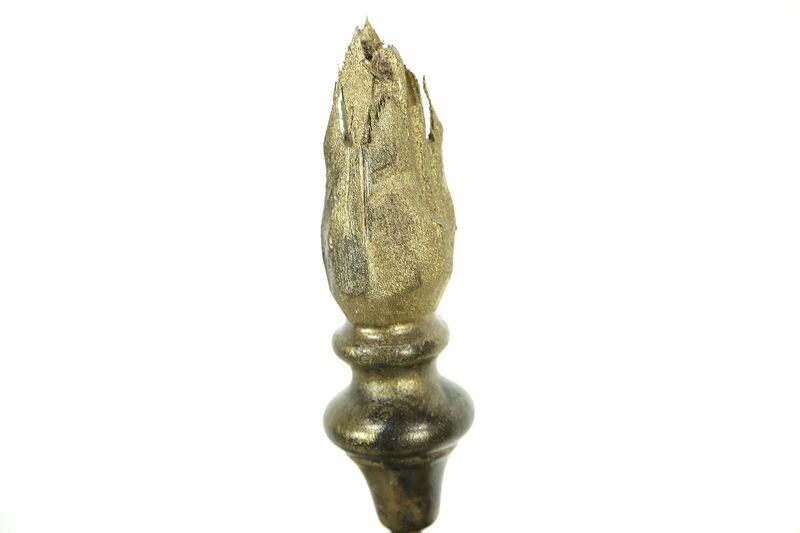 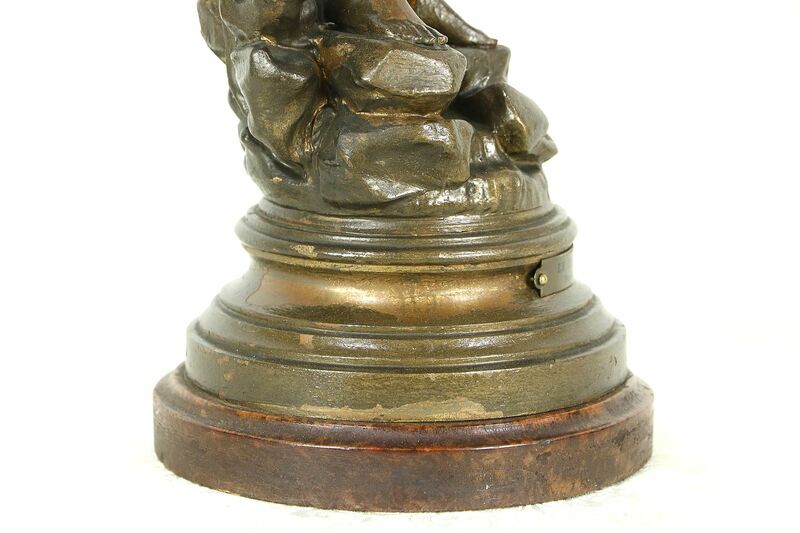 This work of art is cast in "spelter," a white metal alloy with a deep bronze finish. 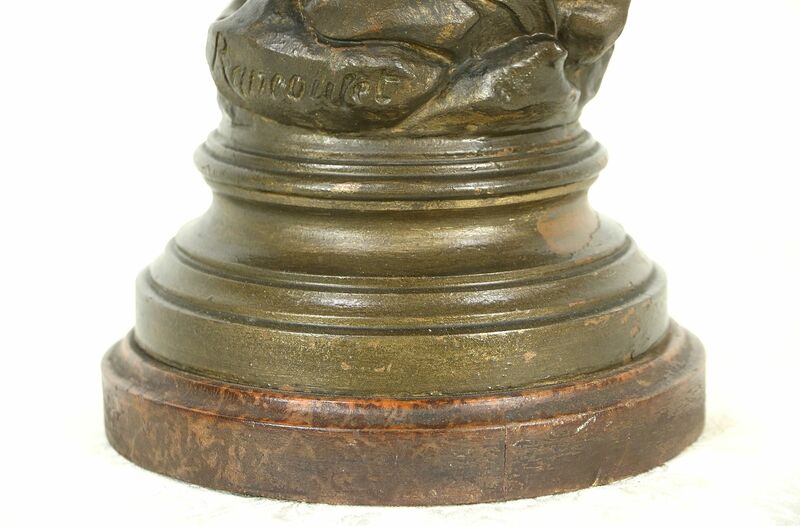 The wood base is marbleized. 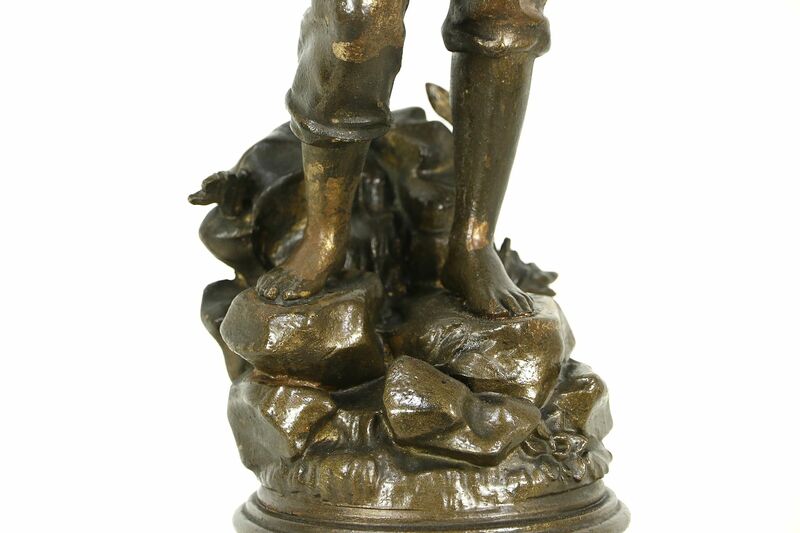 Size is 7" diameter and 23" tall.